I like to finish the week with a dessert especially when there is chocolate involved. So why not a 3 layer gluten-free chocolate blackberry pie, might as well go all out! 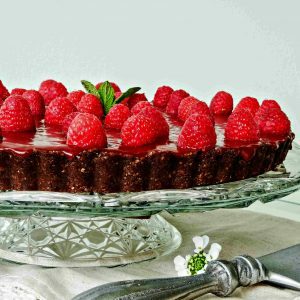 The layers are made up of nut based crust, fresh blackberries and chocolate custard. To bring out the chocolate flavour, I added some coffee to the custard making this pie outstanding! 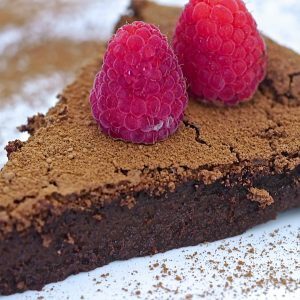 This dessert is not the typical healthy recipe for January, but it is so good, I just had to share it with you. For me, it is all about portions. I have a small piece and enjoy every bite without feeling guilty, just like the French do. I believe it is all about balance, this is especially important when it comes to food. 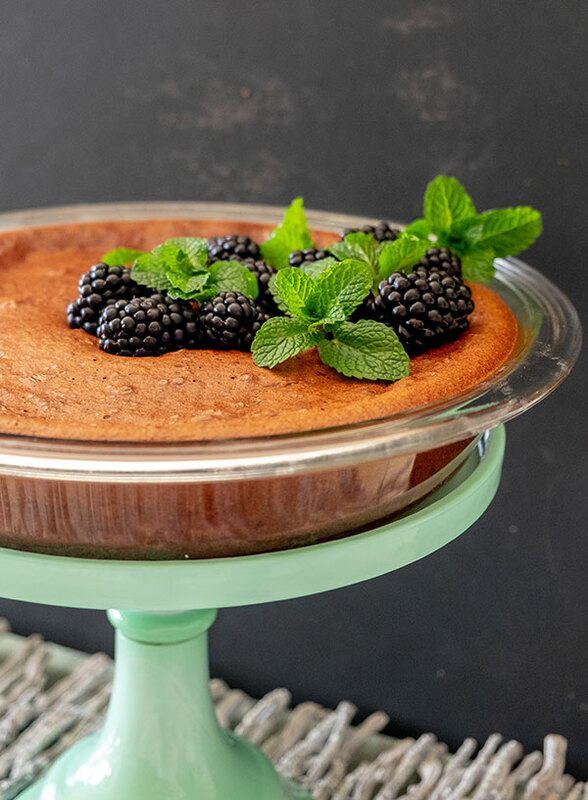 After all, this pie has plenty of fresh blackberries, so it is sort of healthy 🙂 If you don’t want to make this heavenly gluten-free dessert in January, save it for another time, it’s a keeper! Prepare the crust; In a medium mixing bowl, stir together dry ingredients. Add maple syrup and butter. Mix until thoroughly combined. Press the mixture only on to the bottom of the pie plate, making sure to pack it in tight. Bake for 10 minutes. Remove from the oven and cool completely while preparing the filling. In a large bowl using an electric mixer whisk 3 egg yolks,1egg, and vanilla until smooth. 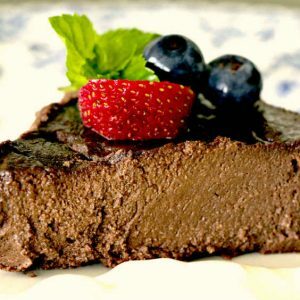 Add condensed milk, coffee and cocoa powder and mix until smooth, scraping sides as needed. Fold one third of egg whites at a time into the custard.